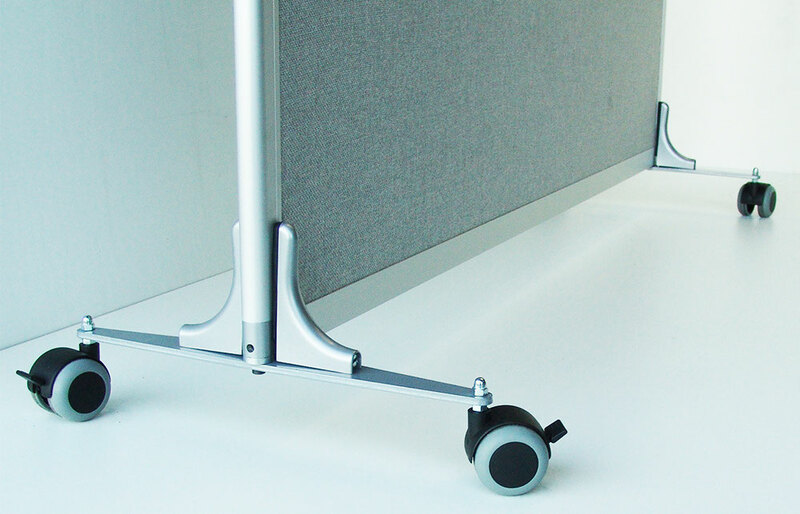 Each Reyem panel is manufactured using a colourless anodised aluminium frame, and comes with a multi-directional washer kit which allows you to combine your panels as needed. 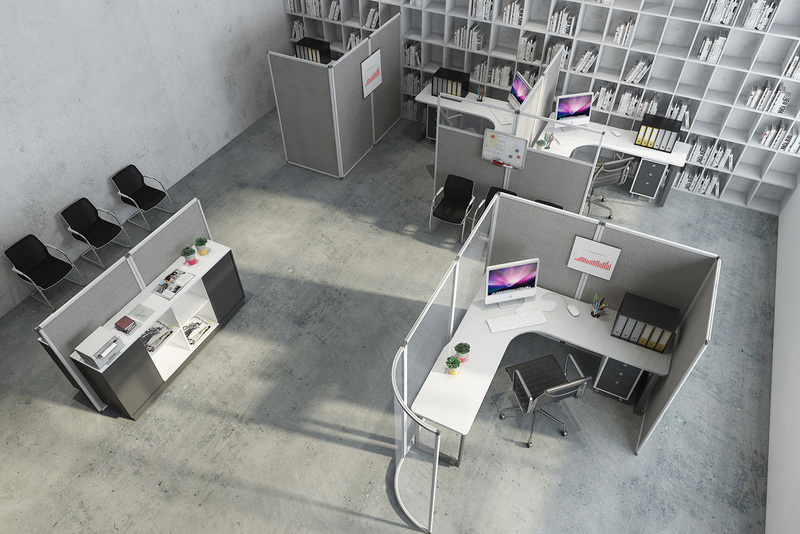 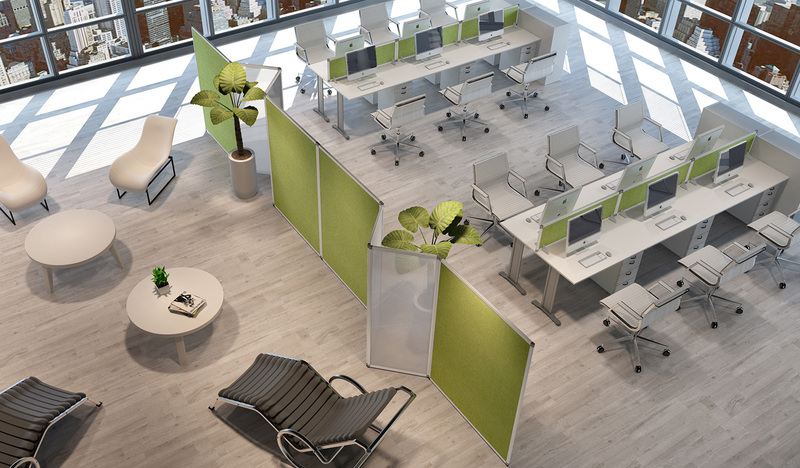 This highly functional and modular system enables you to quickly and easily modify the layout of your partitions, and to add new ones as needed. 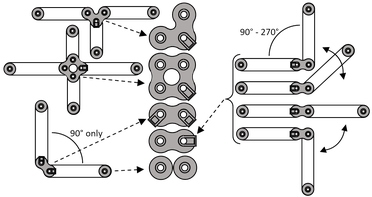 The Reyem assembly system is fully patented. 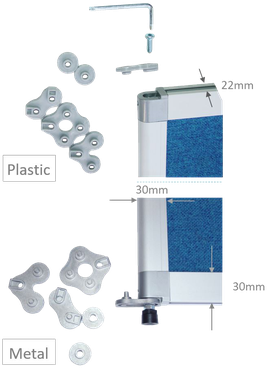 The assembly kit includes two sets of washers: plastic and metal. 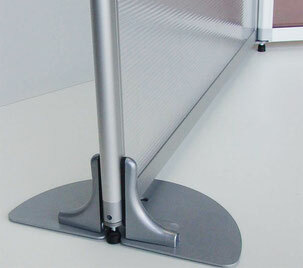 The metal washers go on the base of the panels, and the plastic ones go on top. 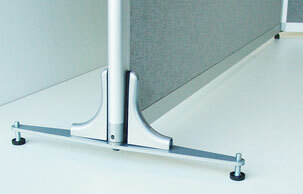 MVP 300 stabiliser feet may be added if necessary, depending on how you wish to install your partitions (see below). A kit containing four casters can be installed on your Reyem partitions. 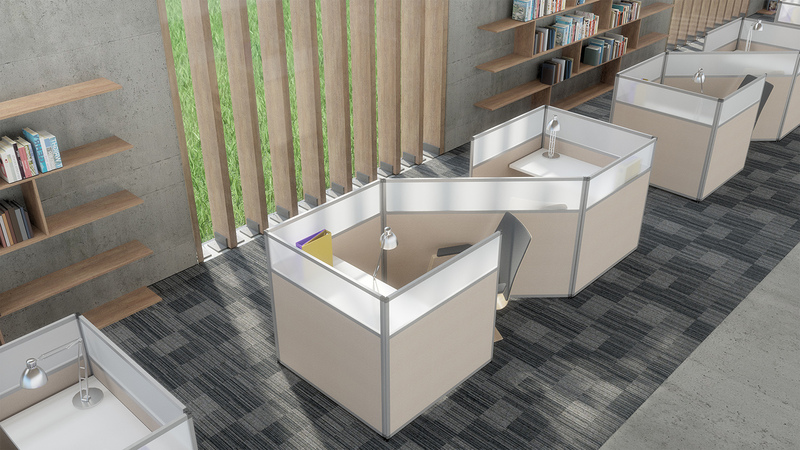 For additional information, please download our PDF catalogue or contact us.